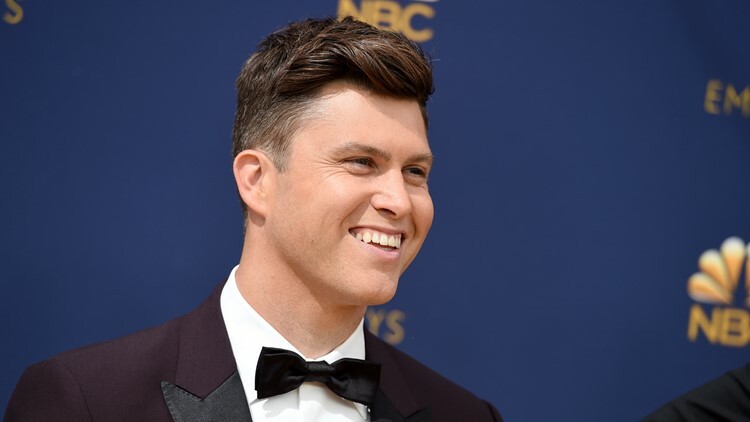 EAST RUTHERFORD, N.J. — "Saturday Night Live" star Colin Jost is no stranger to poking fun at people. The 36-year-old is known for slinging jokes and taking shots on the show's "Weekend Update" segment alongside co-anchor Michael Che every Saturday night. Jost's trolling continued Sunday night during an appearance at Metlife Stadium for Wrestlemania 35. Metlife Stadium is home to the New York Giants, the team that recently traded star receiver Odell Beckham, Jr. to the Cleveland Browns. In true trolling fashion, Jost showed up wearing a Cleveland Browns' Beckham jersey, igniting a chorus of boos from fans in attendance. Jost took to the ring Sunday to settle a recent feud with Braun Strowman, which ended with Strowman launching Jost over the rope.